Orlov, Vladimir (05/051986, Saratov) – russian composer, teacher. Member of the Union of Composers of Russian Federation, director of Saratov headquarters of the Youth Department of the Union of Composers of Russian Federation, creator and art-director of soloists’ ensemble “the Theatre of New Music”, laureate of international and national competitions, PhD in Art History. In 2005 he graduated from Saratov Regional College of Art, finishing class of composition under the guidance of honored art worker Yuri Vladimirovich Massin. Then Vladimir studied composition in class of Associate Professor Vladimir Grigorievich Korolevsky and graduated from Saratov State Conservatoire in 2010. In 2013 he finished Saratov State Conservatoire postgraduate studies with PhD in Theory and History of Art (research supervisor – PhD in Philosophy, Associate Professor Stanislav Valerievich Kryuchkov). In 2010 Vladimir created ensemble “the Theatre of New Music” which is the only creative union in Saratov performing music of the 2nd half of the 20th century and music of modern composers. In the same year he participated in composers’ seminars in the creative house “Rusa” in the localities near Moscow, which was held by the member of the Union of Composers of Russian Federation Board, chairman of the Association of Contemporary Music Viktor Alekseevich Ekomovsky. 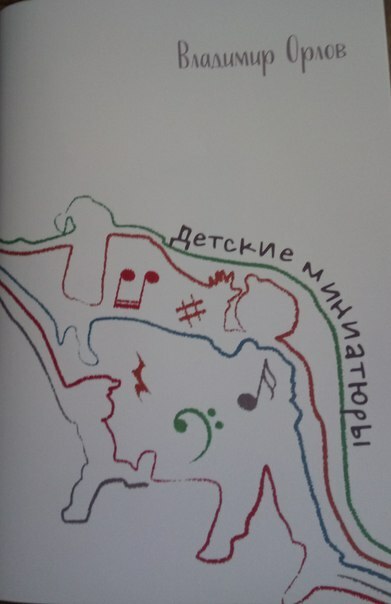 In the next year Vladimir participated in National Educational forum “Seliger-2011” (Tver), dedicated to modern academic music. Also, he visited workshops of such composers as Viktor Ekimovsky, Alexey Sioumak and Yaroslav Sudzilovsky, such musicologists as Rauf Farhadov, Yaroslav Timofeev, flutist Edith Fill, percussionist Marc Pekarsky. Laureate of the Second Open National competition of composers for creation of choral works “Young classics” (Vologda, 2012). Laureate of the First International competition of young composers behalf N.Y. Myaskovsky (Moscow, 2009). Laureate of the 12th International Youth festival-competition “Hopes. Talents. Masters” (Bulgaria, 2007). Laureate of the 21st National young musicians competition behalf D.B. Kabalevsky (Samara, 2006). Laureate of the 2nd International Governor young musicians competition behalf B.A. Gavrilin (Vologda, 2004). Laureate of the 4 International competitions behalf A. Schnittke (Saratov, 2008, 2006, 2004, 2002). Laureate of the National Theory and History of Music Olympiad (Ryazan, 2002). International festival of Arts “the Earth of Children” (Saint-Petersburg, 2013). 2nd International MolOt-festival (Saratov, Novosibirsk, 2013). Composers’ Festival “One eighth note” (Rostov on Don, 2012). 1st International MolOt-festival (Saratov – Saint Petersburg, 2012). 2nd Interacademic composer festival “New music – new reality” (Ekaterinburg, 2010). 13th International festival of Arts “Sergey Oskolkov and his friends” (Saint-Petersburg, 2009). Grant of the Municipality Administration “Saratov City” in nomination for outstanding achievements in the field of culture, art and sport (2012). Diploma of the Municipality Administration “Saratov City” for personal contribution into education of the younger generation and for the high level of professionalism in work. Grant of the fond “Young Talents of Russia” (2004, 2007). Vladimir’s works were performed in Russia (Saratov, Moscow, Saint-Petersburg, Ekaterinburg, Rostov on Don, Vologda, Novosibirsk), Bulgaria (Dobrich), France (Paris), Armenia (Yerevan).